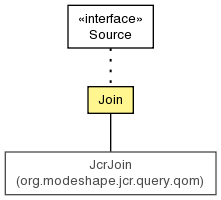 Create a join of the left and right sources, using the supplied join condition. Get the source that represents the left-hand-side of the join. Get the source that represents the right-hand-side of the join. Get the type of join. Create a join of the left and right sources, using the supplied join condition. The outputs of the left and right sources are expected to be equivalent.